WHICH COOKIES DOES MOBBIBLE USE AND WHY? These cookies are essential in helping you to move around our websites and use their features, such as accessing secure areas of the website. Without these cookies, services you have asked for, such as setting up PIN protection on MobBible, cannot be provided. These cookies do not gather information about you that could be used for marketing or remembering where you’ve been on the internet. Identifying you as being signed in to MobBible and our other websites and keeping you logged in throughout your visit so that you don’t need to sign in each and every time you visit. Remembering your place in a video if you leave any of the viewing services (the “On Demand”, “Now” and “On Soon” sections) before you’ve finished watching a programme, so that you can pick up where you left off the next time. Working out when to show you advertisements on any of the viewing services so that you don’t get shown too many. In order to keep the digital products and services within MobBible relevant, easy to use and up-to-date, we use web analytics services to help us understand how people use them. For example, we can see which parts of the digital products and services are most popular, identify which programmes have been watched online, identify when errors occur, and test different versions of a page or feature to see which one works best. These web analytics services may be designed and operated by other companies on our behalf. They do this using small invisible images known as “web beacons” or “tracking pixels” that may be included in the digital products and services within MobBible. These are used to count the number of times something has been seen. These web beacons are anonymous and do not contain or collect any information that identifies you. Cookies allow web analytics services to recognise your browser or device and, for example, identify whether you have visited MobBible before, what you have previously viewed or clicked on, and how you found us. The information is anonymous and only used for statistical purposes. It allows us to track information, such as how many individual users we have and how often they visit our websites. It also helps us to analyse patterns of user activity and to develop a better user experience. For example, we might see that many people who viewed Programme A also viewed Programme B and we can then recommend Programme B to everyone else who viewed Programme A. Cookies may be placed on your device by our third party service providers which remember that you have visited a website in order to provide you with targeted adverts which are more relevant to you and your interests. This is often called online behavioural advertising (OBA) (also known as ‘behavioural targeting’ or ‘interest based advertising’) and is done by grouping together shared interests based upon previous web browsing activity. Advertising may then be displayed to you when you visit the digital products and services within MobBible which matches these interests. Your previous web browsing activity can also be used to infer things about you, such as your demographics (age, gender etc.). This information may also be used to make the advertising more relevant to you. Personalised retargeting is another form of OBA that enables our advertiser partners to show you adverts based on your online browsing away from MobBible websites. For example, if you visited the website of an online travel company you may start seeing adverts from the same travel company displaying special offers or showing you the products that you were browsing when you come to our websites. This allows companies to advertise to people who previously visited their website. These cookies will usually be dropped by third-party advertising networks. A list of our main advertising network partners is set out in section 5 below. Although these cookies can track your visits around the web they don’t know who you are. Even if you sign in to MobBible, the OBA data is still not linked to your profile. Please note that on some pages of our websites you may notice that cookies have been set that are not related to MobBible or our authorised service providers. When you visit a page with content embedded from, for example, YouTube or Facebook, these service providers may set their own cookies on your web browser. These anonymous cookies may be set by that third party to track the success of their application or to customise their application to you. MobBible does not control the use of these cookies and cannot access them due to the way that cookies work, as cookies can only be accessed by the party who originally set them. You should check the third party websites for more information about these cookies. Some of our websites allow you to leave comments about the digital products and services within MobBible. One of the tools we use to enable comments on our websites is provided by a third party. In providing this service, they may set cookies on your web browser to track your use of their commenting tool on the digital products and services within MobBible. To do this, they use third-party analytics tools to help measure traffic and usage trends for their commenting tool on an anonymised and aggregate basis. If you do not want your anonymised activity within this commenting tool being recorded by these analytics providers, you can opt out of their cookies by clicking on the following links. Please note that this will take you to the relevant third party’s website and generate a ‘no thanks’ cookie, which will stop any further cookies being set by those third parties. In order to deliver a personalised, responsive service and to improve MobBible on devices we remember and store information about how you use it. The enhanced service may also include the delivery of more targeted and relevant advertising, subject to any personalisation preferences that you have set via the Account Settings . 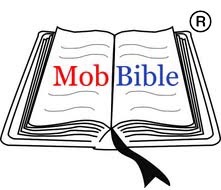 MobBible and its trusted partners only collect such information in a way that is completely anonymous and does not include any personal details. When using these devices, files will be stored on the hard drive for the following purposes: analytics, remembering resume points in videos you have watched and managing parental control PINs. These files are essential to the operation of the application. It is not currently possible to opt out or remove these files from the devices without deleting the application. When using these devices, local files will be stored for the following purposes: analytics, remembering resume points in videos you have watched and managing parental control PINs. For Xbox 360 devices, files are also stored to remember video resume points and any personalisation preferences (e.g. favourites, history etc.) across the Xbox 360 . This means that you will be able to resume a video that you started watching on Xbox 360 when you next log in to mobbible.com and that any preferences set on MobBible will be synched with your Xbox 360 device. Also, if users link their 4 registered account to their Apple device, this will be stored. These files are essential to the operation of the application. It is not currently possible to opt out or remove these files from the devices without deleting the application. However, there are various ways that you can control and manage your cookies which are discussed in a bit more detail below. Please remember that any settings you change will not just affect MobBible cookies. These changes will apply to all websites that you visit (unless you choose to block cookies from particular sites). You should be aware that any preferences will be lost if you delete cookies. Ironically, this includes where you have opted out from cookies, as this requires an opt-out cookie to be set. Also, if you block cookies completely many websites will not work properly and some functionality on these websites will not work at all. We do not recommend turning cookies off when using the digital products and services within MobBible for these reasons. It is possible to opt out of having your anonymised browsing activity within websites recorded by analytics cookies. MobBible uses the following analytics providers and you can opt out of their cookies by clicking on the following links. Please note that this will take you to the relevant third party’s website and generate a ‘no thanks’ cookie, which will stop any further cookies being set by those third parties. Don’t forget that by not allowing analytics cookies, this stops us from being able to learn what people like or don’t like about MobBible so that we can make them better. Please note that if you want to opt out from receiving targeted advertising, this does not mean that you will receive less advertising when you use the digital products and services within MobBible. This just means that the advertising you see will not be as relevant or customised to you. However, if you still want to opt out of these third party advertising cookies, you can do this by visiting the Interactive Advertising Bureau’s website www.youronlinechoices.com/uk which lists all ad serving cookies that are currently set on your device and tells you how to opt-out from each of them. Please note that this website lists many more networks than those used at MobBible . Also, MobBible ensures that all third party advertising networks and advertisers who set cookies on MobBible websites are signed up to this website. 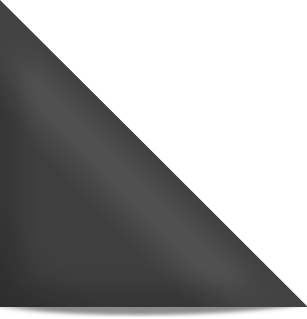 LSOs may be used to store user preferences for media player functionality and without them some video content may not play properly. We therefore do not recommend turning these cookies off when visiting MobBible websites.